Light Cloud and a moderate breeze, but it might feel colder! . 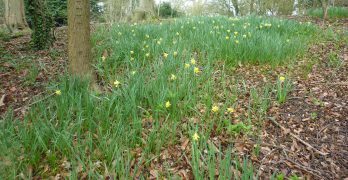 We are at the time of year where the range of tasks in the Fernery Garden becomes more limited, but where there are plenty of tasks remaining to be undertaken on the Nature Reserve. This will be true particularly between the months of September and March each year when there is less chance of disturbing nesting birds through scrub bashing activities. During the Spring and Summer months less work is required in the Nature Reserve apart from regular footpath maintenance, but watering and weeding become priorities in the Fernery. The Spring also heralds the opportunity to continue excavation and restoration work in the Fernery, with the employment of contractors when needed, working alongside the volunteers. Andrew Beattie will lead a group coppicing and scrub bashing in the lower end of the Ancient Track. To save time, this team will collect appropriate tools from the Fernery Shed (loppers, bow saws, and secateurs) and convey them to the most convenient start point, which will most likely be the gate at the Codicote Road end. Brash will be stored/hidden tidily for moving and burning at a later date. 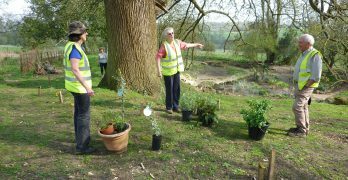 John Roper will lead the group in the Fernery undertaking tasks that are practical in the conditions as we find them, which will include weeding and site clearing up. We will have an extra wheelbarrow to help collect the leaf drop for preservation in the composting cage. 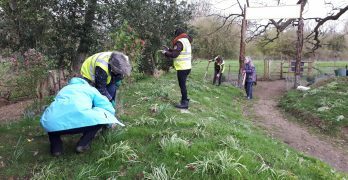 If resources allow, we will continue to clear the nettles on the North East corner of the dell along the path where we will plan to plant ferns later in the year. Also if resources allow, we will also need to continue to keep the Perimeter Tree Whips clear of smothering weeds. The full team meets at the Fernery at 10 a.m.* for briefing and the allocation of tasks, and the issue of appropriate tools. Either park in North Ride, or take the right hand fork of the unmade Road which leads to Danesbury Park Road, and a kissing gate entrance is about 500 metres on the right, not far from a lay-by which has limited parking space. Tea breaks are taken at about 11 am. When we have two separate teams working, (e.g. on the Nature Reserve and in the Fernery), we will aim for the Nature Reserve group to return tools in to the Fernery Shed by 12 pm to allow the two Groups to meet up for Team de-briefings and exchange of Information.